$1,500 Awarded at the discretion of the Judges to the Application that best demonstrates the ability to use crowdsourced data to track and broadcast up-to-date real time information on VTA service OR that provides crowdsourced ridership data back to the VTA. $1,500 Awarded at the discretion of the Judges to the Application that uses VTA data to create visualizations and predictive modeling based on real-time and/or historical data. $1,500 Awarded at the discretion of the Judges to the Application that best makes use of Bluetooth beacons in a transit system. 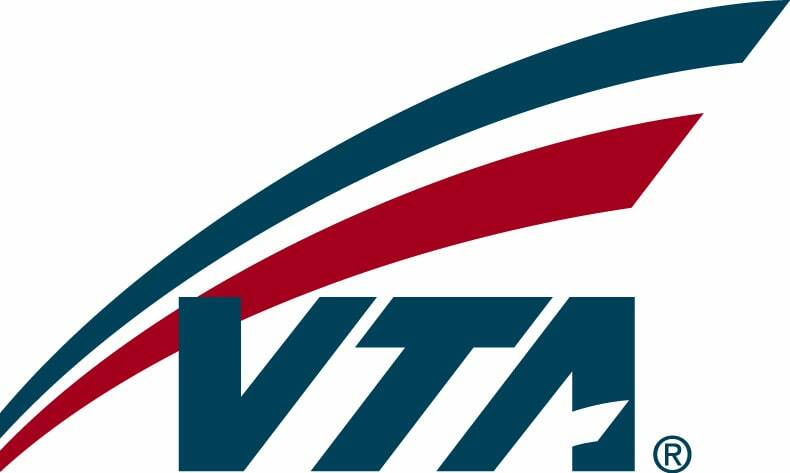 $1,500 Awarded at the discretion of the Judges to the Application with the greatest potential to increase VTA transit ridership or retention. $1,500 Determined by public voting. Hack My Ride 2.0 challenges you to create technology that will transform how we get around in Silicon Valley. Help us create working apps and tools that will make it easier for people to plan trips, connect with their surroundings, and enrich their transportation experience. We want you to go beyond transit trip planners--there are already many apps out there that help people plan their trips--and create innovative user experiences that haven't been tried before. Think about beacons, wearables, mashing up VTA data with other non-transit data, and brilliant data visualizations. You are not required to make your app available to the public via a website or app store, so you don't need to worry about allowing time for the app to go through the stores' approval process. Please see section 4 of the Rules for details about how you can submit your app for judging. You'll need to incorporate VTA data into your app so this will help VTA customers in Silicon Valley, but we want you to think even bigger and build something that could help people get around anywhere in the world. We particularly encourage use of beacon technology we'll be piloting during Hack My Ride. Beacons have applications for wayfinding, location-based communications, accessibility for visually impaired people, loyalty programs and games that enhance the transit and mobility experience. You must be 18 or older to participate in the challenge. Teams of eligible individuals can enter. Teams of eligible individuals may enter on behalf of a company, non-profit, and other legal entities may enter as long as they have fewer than 50 employers. Large organizations with more than 50 employees can enter, but will only qualify for the Large Organization Recognition Award. A working software application that uses at least one of the VTA Datasets available at https://data.vta.org or http://www.vta.org/getting-around/gtfs-info/gtfs-information, and can update and refresh the data. A video that clearly explains your application’s features and functionality through a comprehensive demonstration. Register for the Challenge by clicking the “Register for this Challenge” button at hackmyride2.challengepost.com. Sign up to create a ChallengePost account, or log in with an existing ChallengePost account. Create a video that clearly explains your application’s features and functionality through a comprehensive demonstration. Complete the “Enter a Submission” page of the Challenge Website before the end of the submission period. See the Official Rules for additional requirements. Includes how well the idea was executed by the developer and how well the Application integrates the required VTA public data and APIs and any other utilized data. Includes the extent to which the Application will impact transit ridership retention and growth, as well as the potential impact on the riders’ transit experience.